Over the years I’ve gone through a few Pacific island rums and while appreciative of their inventiveness, wasn’t entirely chuffed about them. They had elements I liked and elements I didn’t, and on balance while they were workable rums, nothing to really get excited about…unless it was the Mana’o white, which was quite an animal, though it reinforced my appreciation for white rums rather more than it did for Tahiti. In 2017, though, the Transcontinental Rum Line put out this 8 Year Old rum and when I tried it earlier this year, I was blatted into next week. 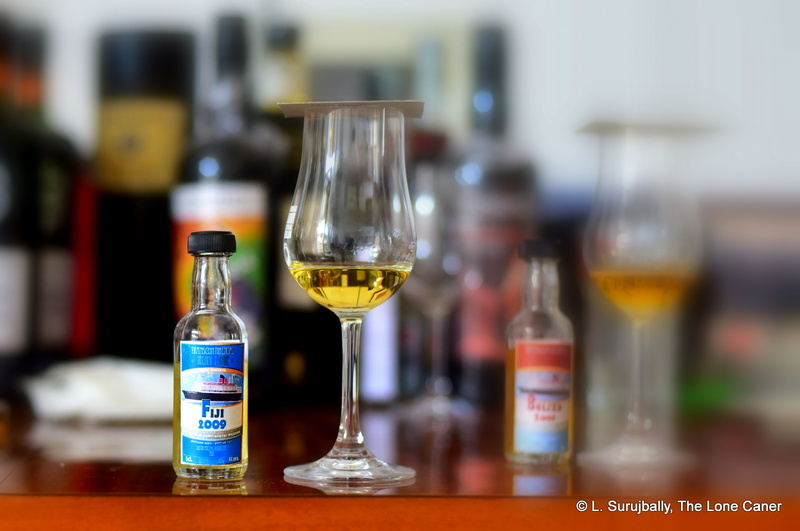 I literally was so ensorcelled by the peculiar quality of the rum that I kept the glass recharged for five days, and kept coming back to it after each daily tasting session, just to see if I could come to grips with what made it so striking. TCRL – the “Transcontinental Rum Line” – is the indie arm of la Maison du Whiskey out of Paris formed in 2016 and, like Compagnie des Indes with their evocative name, are using the title to tap into a myth pool of celluloid memories and old time images in our minds. Seeing the label and hearing the name, we can pretend we’re in Edwardian times and travel on the old transcontinental ships of yore (that most of us would either have been serving the upper crust, crammed into steerage or cleaning the bilges is an inconvenient and unacknowledged side issue, because, y’know, downers like that don’t sell no rum). Anyway, like all independents they issue rums at cask strength, provide all the now-normal exhaustive details on origin, strength, angel’s share…and one more. They are the only independent who, as far as I know, state exactly how much of their ageing is tropical, and how much continental (<1 year in this case for tropical, >7 years for continental). That said, the still which produced this pale yellow 57.19% ABV rum remains an open question, though my personal belief is that it’s a column still product. It certainly noses that way – aside from presenting as a fierce little young rum, it lacks something of the depth and pungency of a pot still spirit. However, that doesn’t matter, because it’s damn fine on its own merits – brine, olives, paint, turpentine, acetones, fresh nail polish, more brine and gherkins, and that’s just the beginning. It has aspects that are almost Jamaican, what with a bunch of prancing dancing esters jostling for attention, except that the smell is not so crisply sweet. It develops very nicely into smoke, leather, linseed oil for cricket bats, more brine and oily smoothness. Like a set of seething rapids finished with the messing around, it settles down to a much more refined state after half an hour or so. Although the nose was arresting enough in its own way, it was the tasting that made me sit up and take more notice. Smooth and quite strong, it tasted with force and originality, like its trousers were stuffed with midichlorians. Initial flavours were honey, glue, bananas, followed up with pears, coffee and coconut shavings. Also, coming back to it over time, one can sense the slight syrupy sweetness of tinned peaches but with a moderating and welcome pinch (or three) of salt too (this eventually gets all huffy and walks away). Smoke, leather, some oaky bitterness, well controlled – I mean, it kept getting better and better as the hours ticked by, which was one reason I kept it on the go for so long. Everything about it just came together really well, and while it did display some sharper notes and serrated edges that gave away its relative youth, I liked it for all its raw and uncouth power. Even the finish was quite original and showed its ongoing development, nice and long, dry, fruity, thick, and briny all at once, set off by a tiny breath of salted caramel ice cream. The longer I spent with the rum, the more I appreciated it. It has some ageing and it shows, yet also remembers its youth with zest and a sort of feisty exuberance that sets off the barrel time in fine style. 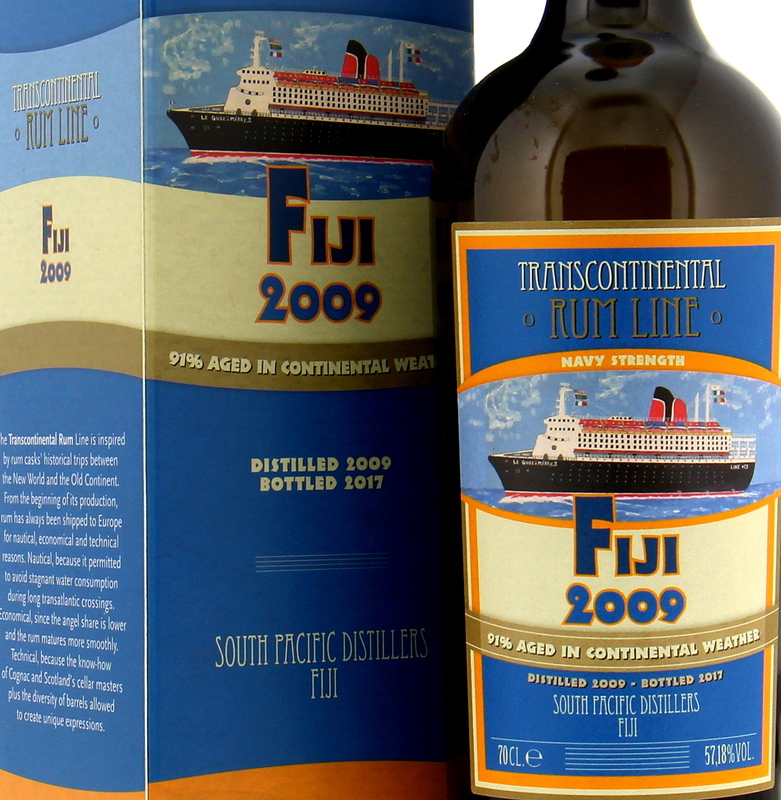 The esters and the brine and fruits and oak come together in a combination that other Fijian rums have attempted, not always successfully – here it works, and works really well. It’s a bit unrefined here and there, lacks some polish – think of it as a Tiger Bay bad boy eating at the Ritz if you will – but even where it falters, it doesn’t fully fail. For all its faults, and fortunately there aren’t that many, this young Fijian 8 year old, for some peculiar reason, is one of the most memorable rums I’ve tried all year. TCRL really came out with a winner on this one. 4 casks, 57.18% ABV, also referred to as “Line #13”.